Link to Us | What Can YOU Do? 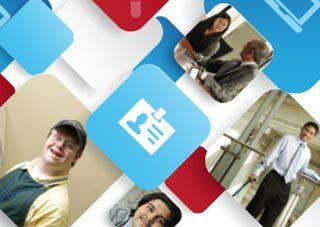 Show Your Support for the Campaign for Disability Employment! 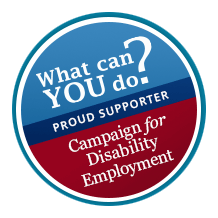 What’s an easy way to demonstrate your support for the Campaign for Disability Employment (CDE)? Post a link to the CDE on your website! Various linking options are available. Simply copy the code below and paste them into your Web page. Copy and paste the following code for a text link to the CDE home page. Copy and paste the following code for a horizontally-oriented CDE logo, linked to the CDE home page. Copy and paste the following code for a vertically-oriented CDE logo, linked to the CDE home page. Copy and paste the following code for a CDE Supporter Badge, linked to the CDE home page.